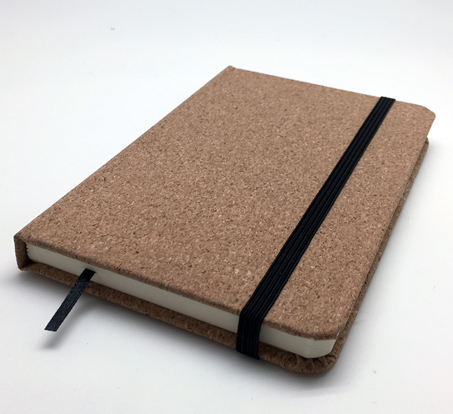 This small notebook comes with a heavy cover made of cork soft wood. Includes a Notebook with 80 pages of recycled lined creamy color paper. Also inlcudes an elastic band closure.